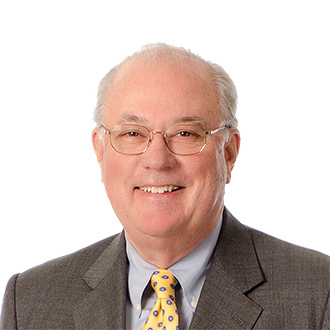 Since founding FordHarrison LLP in 1978, C. Lash Harrison has served as the firm’s managing partner. As of January 1, 2018 Lash transitions to the new role of Chairman of the Executive Committee. 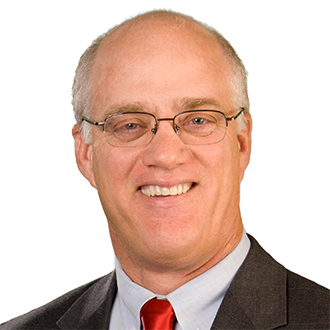 Allen J. McKenna has been elected to serve as the firm’s new managing partner. Over the past four decades, the firm merged with several other successful labor and employment firms. Under Lash’s leadership, combining the talents and expertise of these predecessor firms, FordHarrison has become one of the largest and most respected labor and employment firms in the country. In addition to excellent legal representation, FordHarrison is known for its commitment to training and mentoring young lawyers, its business development program for more seasoned lawyers, its close partnership with Habitat for Humanity, and its integration of public service work into the law firm’s culture and practice. For these and other forward-thinking changes in law firm practices, Lash has been repeatedly recognized and honored as one of the most innovative law firm leaders in the country. He has been nationally recognized as a resourceful, creative leader in law firm management with a systemic commitment to employee development, business development, diversity and inclusion, mentoring and pro bono work. Lash has had an accomplished career since graduating from Emory University School of Law in 1965. He has more than 50 years of experience representing management in all aspects of labor and employment law in almost every state in a variety of industries. Throughout his career, Lash has served in numerous leadership roles in professional and civic organizations within the Atlanta and Emory communities. He currently serves on the Emory Law Advisory Board, has been a member of the executive committee for Emory University’s Board of Visitors, and was a Chairman of the Board of Trustees for Trinity School. He has also demonstrated strong philanthropic and community support for Emory Law as a member of its campaign planning committee, the Barristers’ Club giving society committee. Lash has received several ‘top attorney’ honors, including being named to the Hall of Fame of Human Resources Executives' “100 Most Powerful Employment Attorneys” list and being recognized by Profiles in Diversity Journal as a “CEO in Action.” In 2015, Lash received Emory Law School’s Distinguished Alumni award. Al is the leader of FordHarrison’s healthcare practice group and has served on the firm’s executive committee for the past three years. Prior to this role he served as Orlando’s office managing partner and as a member of the firm’s marketing committee. He is Board Certified as a Specialist in Labor and Employment Law by the Florida Bar and has represented management in all aspects of employment and labor law since 1983. Al is a traditional labor lawyer with extensive experience advising clients on the legal issues related to union campaigns, collective bargaining, arbitrations, and hearings and trials before the National Labor Relations Board. He is also an experienced trial lawyer, having tried employment related cases in state and federal courts. Al represents a broad array of employers in a variety of industries all across America, but focuses his practice on the healthcare industry and government contractors. He is also a regular speaker at conferences and seminars on labor and employment law subjects. “I know it will be a challenge to fill this role that Lash held for so long. I look forward to continuing the focus on leading the firm forward and I am excited to see what the future holds. If we continue to grow with the vision Lash had for us, I know we will be successful,” said Al.